I most often hear that guys are the most difficult to purchase holiday gifts for, especially if he isn't closely related. I love the gift selection at JT Spencer! 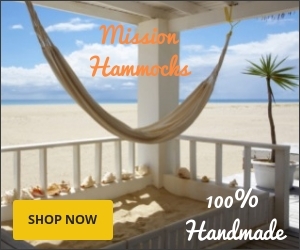 They offer lots of great gifts for guys that are stylish and practical. These high quality key fobs with stitching (and monogramming!) 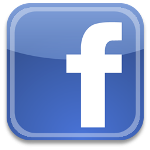 are the perfect choice and come in designs he'll love, like flags, sports, states, colleges, and animals. This sturdy key fob will hold all his keys in style! 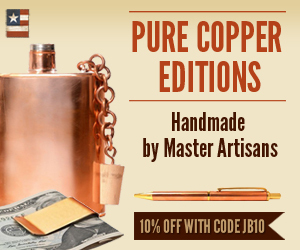 Check out their amazing selection of belts and flasks too! 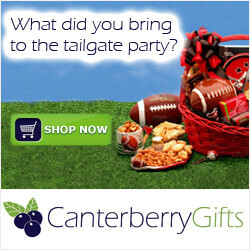 You can search their site for great gifts for guys by schools and universities, or themes like equestrian, golf, happy hour, hunting, patriotic and more. Still can't choose? Get him a gift card from JT Spencer and let him decide what he wants! 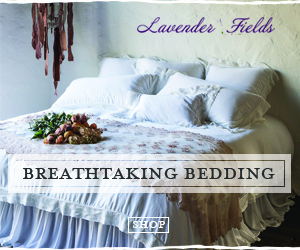 Shop now for guaranteed Christmas delivery! Books are always a perfect gift, no matter the age of the lucky recipient! 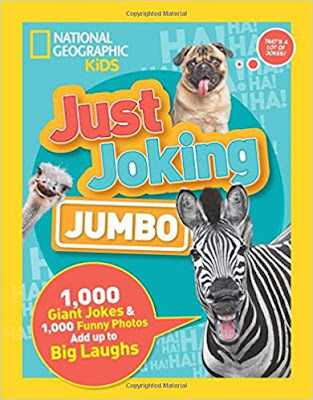 National Geographic Kids books are some of the most beautiful, most fascinating, and most loved books in the entire world. Here are some of my favorites to gift this holiday season! 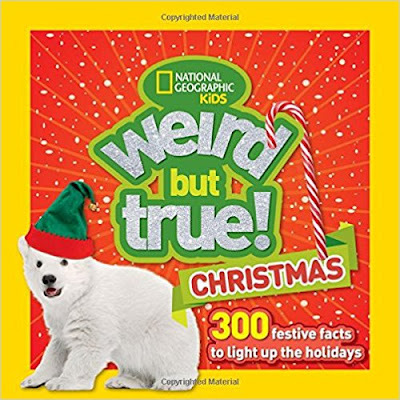 Weird But True Christmas: 300 Festive Facts to Light Up the Holidays - This paperback is the PERFECT stocking stuffer for ages 8-12! Ready for some totally festive facts? Even Christmas can be weird -- it's true! Did you know that Santa's reindeer are probably all female? Or that artificial snow can be made from seaweed? Or that "Jingle Bells" was the first Christmas carol sung in space? 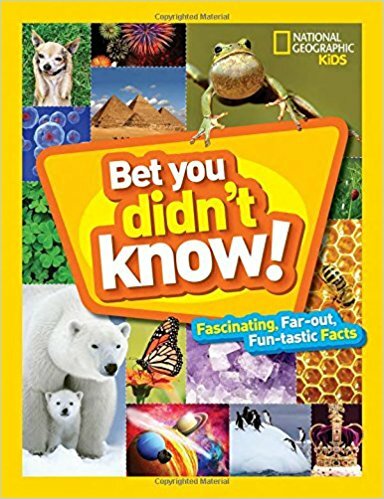 Every kid will ho-ho-ho when they unwrap this book that is chock-full of the most random and fascinating facts about their most favorite holiday. Get it HERE! Hey, Baby! 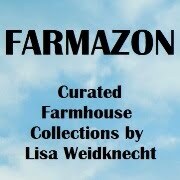 : A Collection of Pictures, Poems, and Stories from Nature's Nursery - Sweet dreams are made of this! Join National Geographic Kids on a trip around the globe to celebrate nature's nursery.This collection of stunning photography of wee ones of the wild world will inspire, awe, and awww. With dynamic profiles, clever poems, time-tested folktales, amazing rescue stories, and unlikely animal friendships, this book will be a favorite with sleepy little ones, new parents, and moms-to-be. 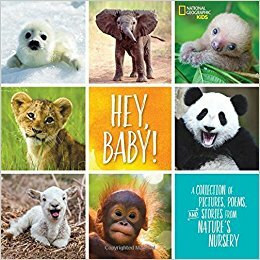 Featuring everything from wobbly baby bison to teeny turtles, mini-monkeys to fluffy foxes, this is the perfect keepsake book for the baby animal lover in us all. An awesome book for all ages! Get it HERE! Bet You Didn't Know: Fascinating, Far-out, Fun-tastic Facts! - Did you know that the first stop signs were black and white? Or that a litter of kittens is called a kindle? Or that butterflies can see more colors than humans can? Based on a favorite department in Nat Geo Kids magazine, this book is overflowing with fascinating facts, silly stats, and catchy little knowledge nuggets in all kinds of cool categories, from astronomy and sea creatures to revolutions and breakfast. Special features include Extreme Weirdness, Strange Places, Wacky World, and more. An excellent hardcover choice for ages 8-12. Get it HERE! Just Joking: Jumbo: 1,000 Giant Jokes and 1,000 Funny Photos Add Up to Big Laughs - What do you get when you have 1,000 giant jokes and 1,000 funny photos? A stocking stuffer that adds up to some seriously big laughs! If you have a budding stand up comedian on your list this year - this is the perfect book for them. Knock-knocks, puns, riddles, tongue-twisters, photos of silly situations and even the craziest info about the history of funny business - it’s all here. Ages 7-10 will love this paperback book! Get it HERE! 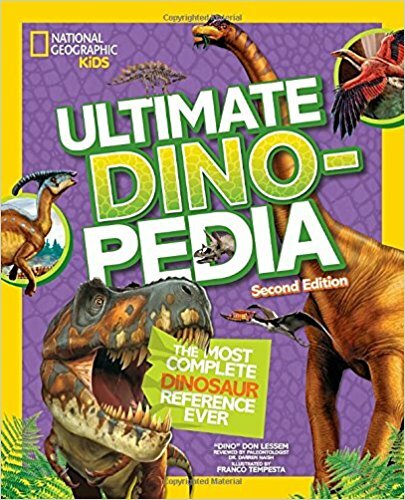 Ultimate Dinopedia, Second Edition - Attention dinosaur fanatics! This is a big, gift-worthy hardcover that is also the most complete and comprehensive dinosaur reference ever. Although these amazing creatures roamed the Earth ages ago, new dinosaur discoveries are still being made today. The new edition includes favorites, like the fierce T-rex and the gentle Brontosaurus, plus audacious new finds, like the Anzu, Kosmoceratops, and Yi. Every dino profile is colorfully illustrated and features descriptions of when they roamed the Earth, how they lived, what they ate, and more. There are more than 600 dinos featured in all, including 10 profiles of recently discovered dinosaurs and new entries in the Dino Dictionary. Reports from paleontologists present the latest news and insights from the field. 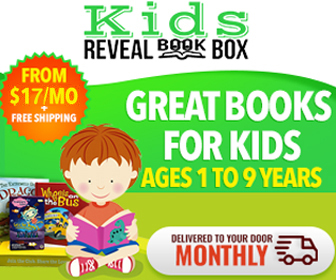 A gorgeous hardbound book for ages 7-10. Get it HERE! I love this book! LetterHeads: An Eccentric Alphabet is a book that everyone is going to enjoy. This creative, one-of-a-kind graphic design book allows the letters come to life as characters to create a playful, emotional alphabet. This type of technology has previously been reserved for Hollywood blockbusters but is now available in this fun book. LetterHeads is a hardbound book created by award-winning graphic designer Stefan G. Bucher who has created an engaging experience that pulls your loved ones from their devices. These elegant and engaging characters delight children, parents, and lovers of design. I really like the use of alliteration throughout the book too. Put this book on your coffee table and watch people reach for it again and again! The book is inspired by the diversity of Los Angeles and aims to inspire color literacy. LetterHeads is the alphabet book of the 21st century! Stefan G. Bucher is the man behind the Daily Monster series, which has hundreds of thousands of followers on YouTube. Grab a copy of his book now, and you can even order one autographed. It's the perfect holiday gift! ZEROTIE is the world's first hands-free, self-lacing shoe for men, women and children. The hands-free lacing mechanism in the back of the heel allows you to easily slip the shoe on, roll your foot back to tighten lacing mechanism, and walk away without ever bending down or using your hands. It's a game-changer for people who have difficulty tying their shoes, for kids who can't tie their shoes yet, and for busy moms and dads who always have their hands full. 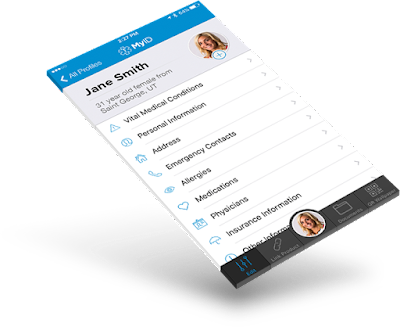 The ZEROTIE patented technology was founded on a simple idea – to give independence back to an aging Mother. When the founder’s Mother was unable to bend over to tie her shoes, he went on a mission to develop a self-typing solution. ZEROTIE shoes are super comfortable and stylish, and are available in lots of great color combinations. 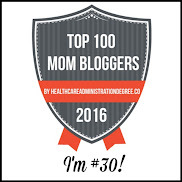 I couldn't believe how easy it was to get my shoes on while holding a toddler by one hand and a squirming baby in the other arm! To put them on, just slip your feet into the shoes, then roll each shoe back to tighten the laces. To take them off, just step on the heel tab to release the laces and step out of them! ZEROTIE even features unbreakable laces with a lifetime guarantee. ZEROTIE offers free shipping on all orders and easy returns with a 30 day guarantee that you'll love your new shoes. I definitely love mine! 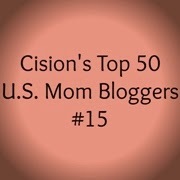 They are stylish, comfortable, and the hands-free feature makes them my go-to shoes for my busy day with two little ones. One of the best things about the holidays is the sweets. It's the one time of year my family indulges in things we rarely eat the rest of the year. Holiday Cookies is a collection of prize-winning family recipes from the Chicago Tribune, including cookies, bars, brownies, and more. For nearly 30 years, the Chicago Tribune has run an annual Holiday Cookie Contest, asking readers to submit recipes that are both unique and meaningful to them. Each recipe is accompanied by a brief description or story explaining why the cookie is special to the reader and their family. The Chicago Tribune's award-winning food writers and editors carefully consider these essays, select the finalists, and then publish winning recipes. This hardbound cookbook is a comprehensive collection of the best holiday cookies, curated from nearly three decades of reader submissions. These delicious recipes are a mix of both traditional and modern recipes, from diverse cultural background and skill levels, including Tropical Nuevo Latino Cookies, Dorie's Dark and Stormies, and Grandma Grump's Peanut Butter Drizzles. The book features full-color photography and helpful baking tips, and brings the warmth and expertise of a cross-generational baking community home for the holidays. From cookie classics to twists on old standards, Holiday Cookies provides the home baker with many possibilities for a holiday party, cookie exchange, or homemade gifts.